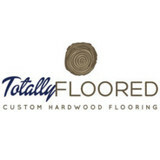 Hardwood floor sales and hardwood finishing, with emphasis on low-VOC floor finishes and sustainable woods that include FSC-certified, reclaimed and regionally manufactured hardwoods. We work with traditional as well as all "green" products, including cork, bamboo, Lyptus and linoleum. 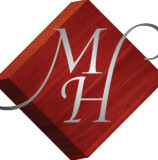 Mansion Hill Custom Floors specializes in wood flooring installation, refinishing, and restoration. We offer traditional, modern, custom and eco-friendly products in a stylish and user-friendly showroom. With our extensive connections, we have access to all of the latest products, species, styles, trends, technology, processes and finishes. Quality products, fair and consistent prices, and outstanding service is our goal. Bluford Jackson & Son, Inc.
Bluford Jackson and Son Hardwood Flooring has been in business since 1919, when Bluford Jackson started the business in Madeira. They have since moved to Milford where they are currently located. The company is now run by Bluford's great grandson Ryan along side his grandfather John. Bluford started the business, and set the standards high, which is the way they continue to do it. Listen to the customers, and insure satisfaction. Bluford Jackson and Son has been the leading source of hardwood flooring in the Cincinnati area for over 90 years. Specializing in installing and refinishing hardwood flooring at a competitive price for both residential and commercial buildings. Flooring jobs big or small, this is what we will do for you. A major difference on how we install flooring is that we make every single job, big or small, seem like we were installing into our very own home. We want you to feel the comfort without having the added stress. 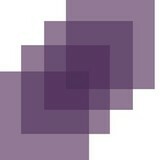 Valvano Carpeting will help you with all of your questions and more. We try to do more where other companies will overlook what there customers needs, are. Bush Flooring Center has been in Cincinnati for over 20 years, not near Cincinnati, located minutes from Downtown in the city. We are family owned and operated and service the greater Cincinnati area. We have a qualified, competent installation staff, we would argue the BEST installation staff in town! When you come into Bush Flooring Center, we are going to help you understand your options to make sure you make the best decision. We will take the time to help you understand the difference in quality between the various products and to understand your needs. We make beautiful floors affordable! Serving the greater Cincinnati & Tri-State Area. Call us today for a free estimate! Monster Cote provides industry-leading epoxy flooring systems to the residential, commercial, and industrial industries. From the planning stages through completion, we work with our customers to develop a floor that is not only decorative, but also extremely durable and functional (stain/chemical resistant, anti-slip, low-maintenance, and much more). Contact our team of experts to find out how we can help with your future project! What kinds of services do hardwood flooring installation professionals in Forest Park, OH provide? 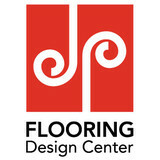 Find hardwood floor experts in Forest Park, OH on Houzz. Search the Professionals section for Forest Park, OH hardwood flooring installers and dealers or browse Forest Park, OH photos of completed installations and look for the professional’s contact information.